The Home Safety Council presented the third annual Dr. Anne W. Phillips Award for Leadership in Fire Safety Education to Patricia Mieszala, RN, at the Congressional Fire Services Institute’s (CFSI) National Fire and Emergency Services Dinner in Washington, DC on April 2, 2009. Throughout her 40-year career, beginning with ten years of service as a psychiatric burn nurse clinician at Cook County Hospital’s Sumner L. Koch Burn Center in Chicago, Mieszala has earned national and international recognition for her tireless commitment to reducing burn injuries and juvenile-related fires through public awareness, education and intervention programs. A long-standing member of the American Burn Association, Mieszala served on the ABA Board of Directors in the late 1970’s. Working with Dr. Anne Phillips and others, she was instrumental in moving the organization to include prevention in their overall mission. Mieszala served as a charter member of the coalition that successfully lobbied Congress and established the first week in February as National Burn Awareness Week. 2009 marked the 24th anniversary of the effort to reduce burn injury through a concerted public awareness and education campaign. Mieszala is passionate about improving methods to identify and treat youth who set fires. For more than 20 years, she has managed juvenile firesetting and arson prevention grants and contracts from the Federal Emergency Management Agency (FEMA), the United States Fire Administration (USFA) and the National Fire Academy. Mieszala was one of the original authors of the FEMA/USFA Juvenile Firesetter Handbooks and has produced child firesetter and juvenile arson instructor training packages through a grant from the FEMA National Arson Prevention Initiative. 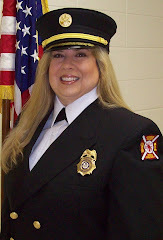 She also worked with the National Fire Protection Association (NFPA) to develop and oversee the nationwide implementation of the Learn Not to Burn ® elementary and middle school curricula and continued as a contract NFPA Field Advisor for the Risk Watch® Injury Prevention and Natural Disasters school curriculum. For the past ten years and continuing today, Pat works with communities and states that use the Risk Watch program as part of their ongoing fire and injury prevention efforts at the local and state level. Currently, Mieszala travels throughout the United States and Canada as a public education advisor for NFPA and assists in implementing the Association’s public education programs on disaster preparedness and fire, fall and injury prevention. For the past nine years, Mieszala has served on the NFPA Education Section’s Board of Directors and has been an active participant in the NFPA’s Educational Messages Advisory Committee since its inception in 2004. Named after Dr. Anne Wight Phillips, the award honors Dr. Phillips’ outstanding achievements as a champion of fire safety education and celebrates her role as a leader whose exemplary work in fire safety education has had a lasting impact on the nation's safety. As a member of the National Commission on Fire Prevention and Control, Phillips authored the 1973 Minority Report as an appendix to the Commission’s landmark report, America Burning, pushing the Commission to recognize the important role of prevention in reducing fire injury and death. Throughout her life, Dr. Phillips demonstrated an unwavering dedication to fire prevention and preparedness, as the basis to strengthening fire safety education across the country. Having established the award in her honor in 2007, the Home Safety Council aims to keep the example and spirit of Dr. Phillips alive well beyond her passing in 2009 by celebrating those whose own work has made a meaningful contribution to protecting society from unwanted fire.